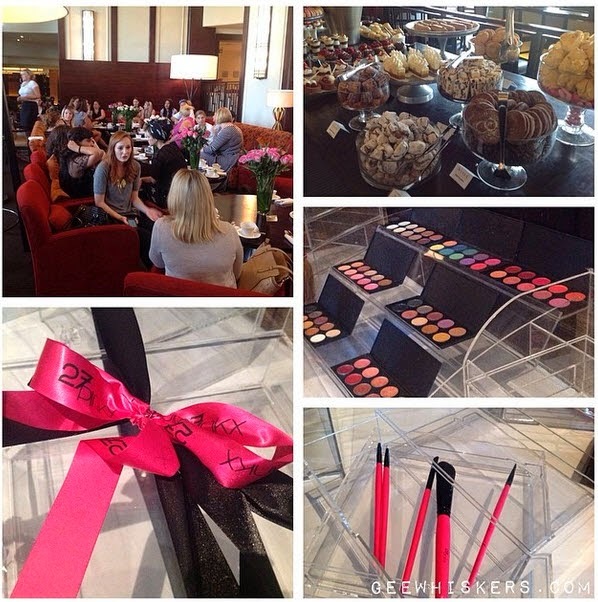 27Pinkx Cape Town Launch / Gee Whiskers! I was very lucky to be invited to the 27Pinkx event yesterday at The One & Only hotel in the V&A Waterfront. Beauty events are always very exciting for me, especially when it is for a company I have been admiring for ages. 27Pinkx is owned by two beautiful sisters, Khatija and Anjum. They started the 27Pinkx website to bring some hollywood glamour and luxury to our market. This is especially evident in their beautiful makeup storage units. I have been wishing for a unit of my own for months now and I almost jumped out of my skin when we were told at the event that we would each be getting our own unit to take home. The storage units are made of high quality perspex that perfectly show off your makeup collection. I was truly alarmed by how much makeup I could get in each drawer. It was a little amusing to me that I found myself thinking that I don't have nearly as much makeup as I thought I had. I also found myself thinking that I have drawers that aren't completely full so I can get more makeup. I found it very exciting. I'll get back to the event now......While at the event we were able to swatch some eyeshadows and play with the makeup blushes. The eyeshadows are very smooth and creamy in texture and highly pigmented. I am very impressed with the quality of them especially when one takes into account how affordable the palettes are. A 10 eyeshadow palette will cost you only R460. I personally love the High End palette but all of them are very wearable. I also finally got to try out the beautiful makeup brushes I blogged about a few weeks ago (read the post here). The brushes are great quality. They work great at picking up product and transferring it to you skin. 27Pinkx will soon also be offering hair extensions on their website along with a host of other exciting products - including some internationally imported brands like Benefit and Too Faced. With such beautifully affordable and high quality products on offer, I am certain that 27Pinkx will soon become every beauty lover's favourite beauty website. It is definitely already one of mine. Thank you to 27Pinkx and Danielle Franco for such a beautiful event yesterday. It was a fantastic morning. Don't forget to visit the 27Pinkx website and let me know what is on your wishlists. 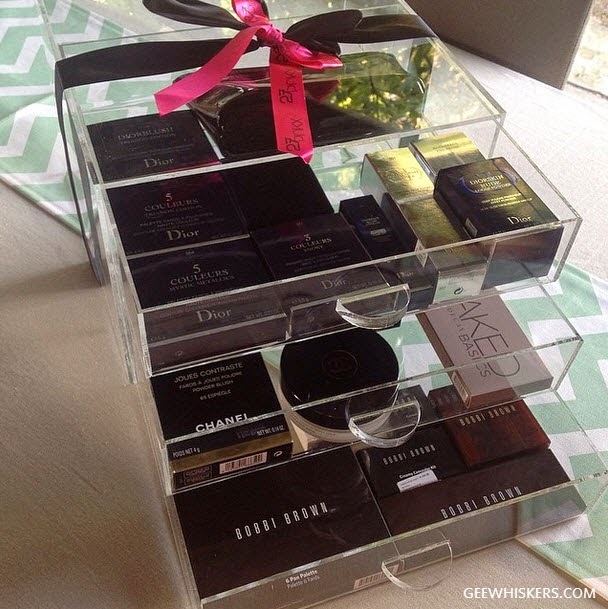 Looks like so much fun… I’m no make up fundi, but storage boxes are absolutely gorgeous! I need one of those storage boxes! They are super pretty! Lovely to meet you ;-) How lucky were we to receive the beauty storage! YAY!! Wow a beautiful make up storage. So lucky! It has been on my wishlist. Do you find that it is more bulky to store makeup like this?